Origins of music – One can only guess when composers first came on the scene or when music was first developed. Was it the voice that started it all or was it the beating of rocks together in some basic rhythm by our prehistoric ancestors? Maybe it was simply the clapping of hands as some rhythmic means to satisfy the urge to communicate in this way or to express one’s self musically. In either case music has been and will continue to be one of the cornerstones of society. We can thank the composers who created the music throughout time for this. From the beginning of humankind I would like to think that music has always been a part of human culture. Whether used for pure enjoyment, love and romance, spiritual or religious rituals or for the drum beats of war, music has likely been around since the beginning of time. There are no known or definitive sources predating known written history verifying that music existed or, if it did exist, in what form music was expressed. Future archeological finds might be able to provide evidence for its existence, however until that time we’ll have to wait for this confirmed knowledge. Archeologists are those who like to search for ancient monuments and buildings, relics from some long ago and distant past, early historical documents of any sort offering insights into the lives of our prehistoric relatives, the bones from all of the ancient creatures that once roamed the planet, including those of man himself. The science of archeology is an important science and it is through the efforts of the researchers in this field of study that we may one day learn the origin of music. 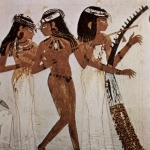 As far as we know, at least in our written history, which only goes back as far as approximately 5,500 to 6,000 years, there is evidence that suggests that music has been an important part of early civilizations. Archeologists have discovered cuneiform writings in the form of clay tablets suggesting that music was part of an ancient Sumerian culture which existed in an area we now call Iraq or the Middle East. It has also been referred to as Mesopotamia. 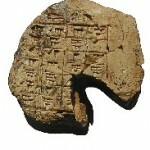 The clay tablet depicted below is said to be dated somewhere between 2000 and 1700 BCE as an example. 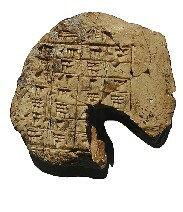 The clay tablet from the Sumerians has a system of music extensive enough to include notation for musical keys and scales attesting to the fact that the people of that day did indeed have music within their culture. This can be debated however it does strongly suggest that music is one form of communication that has existed long before modern times by the earliest of composers. In fact, it has been part of our human culture for many, many centuries. Middle Ages and the Renaissance – Music in this era is generally considered to be written by composers in the time frame from approximately 550AD to about 1550 and it coincides with the renaissance period in history well known for the advances in all of the arts. During the Middle Ages, music played a vital and important role in religious and spiritual endeavors throughout this time period. The marriage of faith and music was in the forefront of people’s minds as a means of promoting their beliefs and for sharing them in a social manner. Composers of the era used a notation form known as neumes or neumatic structures to write out their musical ideas. The four line staff was used and the markings did not necessarily represent rhythm in music nor did they represent actual notes as we know them today. This type of notation was used more to demonstrate the shape of the sound with the occasional note being named. For more information please visit the link above to visit the Wikipedia documentation about neumes, their history and use. One major contribution for composers during the middle ages was the development of music notation. An Italian monk, Guido d’Arezzo (995-1033 AD) is given credit for the invention of the 5-line musical staff thus advancing the art of representing music more clearly and more closely related to how we notate music today. The musical song form most commonly used during this period was the plainsong or Gregorian chant which was named after him. The single most important composer during this time period was Guillaume de Machaut (ca.1300–1377) who utilized isorhythms or repeating, fixed patterns of notes and rhythms that enriched the art of polyphony. 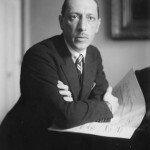 A French composer Philippe de Vitry published the book Ars Nova or New Art. Ars Nova established the basis for the music arising out of the Middle Ages and moved the art of music into a new era. Machaut was an avid supporter and applied the principals within Ars Nova to his music adding to the movement and the development of music into the Baroque period. Baroque Period – One additional composer recognized in establishing the transition from the Middle Ages to the beginnings of the Baroque period is Claudio Monteverdi (1567-1643). Monteverdi created some of the first Italian operas setting the stage for many more to come from a variety of composers. More predominately during the Baroque period is a composer considered by many to be the single greatest composer who ever lived, Johann Sebastian Bach (1685-1750). To clarify, the time frame in which the Baroque period is known for is approximately 1597 through 1750. The focus of music created by the many composers of this era, had changed to more reflect the feelings of love and of nature itself. This was a time when the primary spiritual and religious focus of the Middle Ages had changed philosophically to reflect a more mystical focus. Although these changes affected many there remained a definitive focus on spirituality as evidenced through the abundant works of Johann Sebastian Bach and many other lesser known music composers. Composers such as George Frideric Handel (1685-1759), Johann Pachelbel (1653-1706), Antonio Vivaldi (1678-1741), Georg Phillip Telemann (1681-1767) and of course Johann Sebastian Bach represent the driving music forces throughout this period. 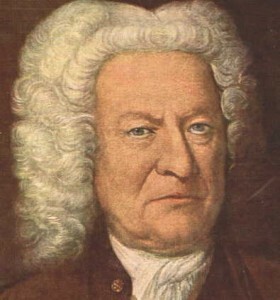 Bach was so influential in defining the Baroque period for music that it is said to have ended upon his death in 1750. Classical Period – Classicism, in terms of chronological time, is said to be bookmarked on the front end of the period by the death of Bach in 1750 and on the back end of the period by the death of another of the all time great composers, Ludwig van Beethoven. 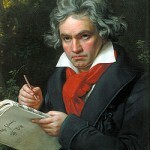 Of all the contributing composers in this era Beethoven rises far above them in terms of his contributions advancing many areas of music including major improvements in the techniques, style and form of symphonic, orchestra and string quartet music. Beethoven died in 1827 placing the total time span for the Classical period to a mere 77 years. Although short in duration the classical period is one that to this day offers music from several of the most important composers of all time as well as marking significant advances in perfecting technique, style, form, instrumentation and composition. It was a period where composers discovered a new found freedom from the previous strong ties to spirituality, religion as well as from nobility that had restricted this type of growth and change in earlier eras. They were an independent breed of composers who expanded and broadened the field of music raising it to new heights and to new boundaries in structure, form and style, many of which remain unchanged to this day. The Classical period saw the invention of the sonatas, minuets and concertos and some of the most incredible symphonies ever written and certainly never before heard in prior periods. It was an expansive time and a glorious time for making new music. Ludwig van Beethoven (1770-1827) is likely to remain the most known composers of this period however, the creative genius of Wolfgang Amadeus Mozart (1756-1791) and the contributions he made to music suggest a strong argument exists as to which offered the most influence on music. Even in these modern times there are advocacy camps from both sides that provide strength to this argument but I would prefer to give credit to both and I consider them to be the twin pillars of this period, each offering major contributions to music in their own time as well as through time. Can you imagine what it must have been like to produce the incredible masterpieces produced by Beethoven while being almost totally deaf? Certainly knowledge of music theory and the principals of music composition enabling him to understand what he was writing down however not being able to hear it performed. To notate music without an ability to hear the music takes a lot of advance knowledge of music and skill as well as a strong inner voice. 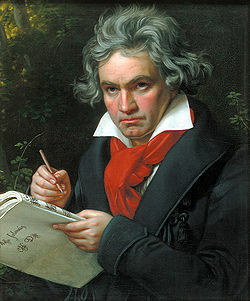 This is what Beethoven likely had perfected within himself in order to create the masterpieces he did while being deaf. His symphonic masterpieces as well as his output of string quartets are amazing in character, depth and musicality written by a man and during a time when he could not hear what he was writing. Just as amazing is a composer who in just a few short years had a musical output so profound and expansive that to this day music scholars scour his works in awe of his compositional diversity, skill and ability as a composer. I am speaking of Wlfgang Amadeus Mozart. Mozart started writing music at age 5 and in the remaining 30 years of his life produced a musical output of over 600 serious musical compositions. This is a feat that is nothing short of amazing! His piano sonatas, symphonies and operas remain to this day significant works of untold sonic beauty. Other composers such as; Franz Joseph Hayden (1732-1809), Franz Schubert (1797-1828), Christoph Willibald Gluck (1714-1787) and Gioacchino Rossini (1792-1868) were among this group of incredible composers who are also recognized to be important figures in music composition during this same time period. These creators of music had moved away from the past and into a new era of music where entertaining their audiences was more important than expressing their own personal feelings through music. Further, Beethoven and Joseph Hayden ,through their creative genius, marked the movement from the classical period into Romanticism, the next era of music. 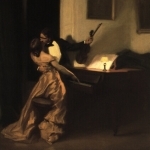 Romanticism – The movement away from the restrictions previously imposed on composers and through the superior efforts of composers the likes of Beethoven, Mozart and Hayden who brought a new focus into play for music composition and the more self-expressive and individualistic styles of music were born out of this effort. It was a far more playful time where passion ruled over the more stoic values that had existed previously. From 1827 through to approximately1895, this was an invigorating time in music. Culturally it was a time where expressing ones self, extravagance was acceptable, as were other less unrestricted behaviors which altered the course of music. All forms of art were directly and heavily influenced during this time period including literature, painting and music. All were instrumental in ushering in the cultural changes that were taking place. 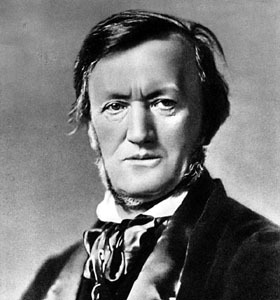 Composers of the era expanded the use of instrumentation in their arrangements incorporating new instruments into their compositions while at the same time expanding the overall size of the orchestra. The use of percussion instruments, the woodwinds and brass instruments added much more color and emotion into the works created during this time period. Musical works were also expanded in overall length and moved more towards the use of harmony rather than composing music driven primarily by melody. Many of the composers of the romantic period are well known today. I am certain you have heard of at least one or more of these excellent composers. 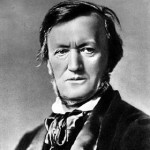 Here is a short list of the many composers involved during this incredible era of musical expansion and change; Richard Wagner (1813-1883), Nicolai Rimsky-Korsakov (1844-1908), Felix Mendelssohn (1809-1847), Fannie Mendelssohn (1805-1847), Guiseppe Verdi (1813-1901) Frederic Chopin (1810-1849), Franz Liszt (1811-1886), Robert Schumann (1810-1856), Georges Bizet (1838-1875), Johannes Brahms (1833-1897), Edward Grieg (1843-1907), Anotonin Dvorak (1841-1904), Camille Saint-Saens (1835-1921), Peter ILych Tchaikovsky (1840-1893), Alexander Borodin (1834-1887), and Johann Strauss Sr. (1804-1849) who developed the dance we all know as the waltz. This era of music did indeed bring much to music and much to the cultural changes of the times in which they lived. The Modern Era of Music – The 20th century saw some changes as reflected in the music written in the 19th and 20th centuries. The Romantic era and composers of the modern era made a movement towards variety and sophistication both in terms of the instruments being used as well as in musical styles. Aside from the calamities of two world wars, the roaring twenties were followed by economic disaster in the mid to late twenties through the early thirties, the rise of the industrial revolution, the beginnings of the most incredible rise of the modern scientific era and social and political changes unseen in any previous period of time in known history. It seems that it takes the general population from about 25 to 100 years or so to discover the real value of a composers work, after the composer is deceased that is. In this regards, completing an evaluation, an adequate analysis of the impact of the body of work a composer created while living, and what if any value there is or was on his or her music in general, remains undetermined for this past century of music as many born late in the century are still alive today. The current era has seen many changes and a lot of diversification within the creative field of music composition. Whether creating music for film and TV, for the stage, for general media distribution or for the mass merchandisers that have developed during this time, the composers are varied and somewhat scattered in their focus, in a general sense. Consequently, I believe the real value a composer can make in this era is in their contributions for building the foundation for a new renaissance in music. As we move through this period and into the next musical era social awareness made available on a broad scale through television, radio and the internet will be the main factors as to who is remembered. What musical impact will these composers have on the future developments of music, time will tell this story. We’ve already seen many new divisions of music known as genres; such as Rap, Rock-n-Roll, Blues, New Age and electronic music. These genres have caused niche lifestyles and markets. For purposes of being consistent and for completing this paper, here again, is another short list of composers, in no specific order, that have made some excellent contributions to music for mankind and that in my opinion all are up for winning the race of long lasting fame, which time, favor and social judgment places on all creators of music. Bela Bartok (1881-1945), Manuel de Falla (1876-1946), Enrique Granados (1867-1916), Sir Edward Elgar (1847-1934), Claude DeBussy (1862-1918), Isaac Albeniz (1860-1909), George Gershwin (1898-1937), Zdenek Fibich (1850-1900), Sergei Prokofiev (1891-1953), Dmitri Shostakovich (1906- 1975), Amy Beach (1867-1944), Giacomo Puccini (1858-1924), Aaron Copeland (1900-1990), Maurice Ravel (1875-1937), Igor Stravinsky (1882-1971), Richard Strauss (1864-1949), Engelbert Humperdinck (1854-1921), Erik Satie (1866-1925), Alexander Scriabin (1891-1980), Ralph Vaughan Williams (1872-1958), Roxanna Panufnik (1968- ), Gustav Holst (1874-1934), Charles Ives (1874-1954), Arnold Shoenberg (1874-1951), Paul Hindemith (1895-1963), Judith Weir (1954 – ), John Towner Williams (1932 – ), Phillip Morris Glass ( 1937 – ), Stephen Michael Reich (1936 – ) and Alex Shapiro (1962- ). There are many more composers not included in this article. I apologize if someone you favor and who has been of great importance was omitted. I can assure you it was purely unintentional. You may have others who in your opinion belong on these lists of amazing composers. So, please feel free to comment and let us know who in your opinion should be included, in what period they composed music in and what contribution to music you believe they should be recognized for. Finally, it would be nice to have a crystal ball to know who the next Bach, Beethoven or Mozart would be and what contributions they will be making to advance the field of music. To get a glimpse into the mind of this composer, at least for a moment, a person may come to know the wonder of music creation by studying the musical works of the master composers of the past. To be able to study and discuss with a living composer of the master caliber to me, as put in modern terms, this opportunity would be nothing short of totally awesome! Note: The photo of the Sumarian Clay Tablet is copyrighted by L.C. Geerts and presented on the website Earth-History. The photograph is being presented under the Fair Use Doctrine of the United States Copyright Act (section 107 of title 17) which states: ‘the fair use of a copyrighted work…for purposes such as criticism, comment, news reporting, teaching, scholarship, or research, is not an infringement of copyright.’ In practice the courts have decided that anything which does not financially harm the copyright holder is fair use. Our intention for using it here, in fact for all of the photos in this post, are purely for educational purposes. The photo representation of neumes was taken from the TIL OPPLYSNING website on 1/30/2010. 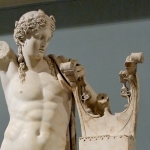 The photos of Apollo statue, Stonehenge and the Egyptian representation of music were taken from a collection of photos under license as provided for by the Webricity CD software manufacturers Fair Use statements. 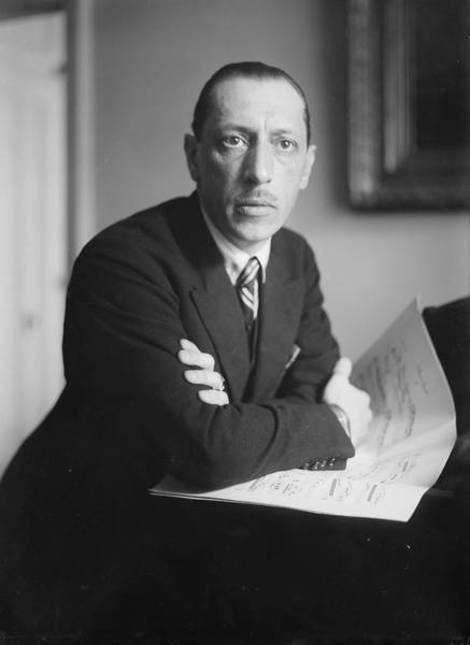 The photo of Igor Stravinsky was taken from the Boosey & Hawkes website and used under the Creative Commons License. All other photos are in the public domain.